After the fierce combat of Hard Contact, Triple Zero, and True Colors comes thespectacular culmination of New York Times bestselling author Karen Traviss’sgripping Republic Commandoseries. As a battle-scarred era nears its end, a shattering power play is about to stun the entire galaxy . . . and set in motion events that will alter destinies and resound throughout history. Even as the Clone Wars are about to reach an explosive climax, no one knows if victory will favor the Grand Army of the Republic (GAR) or the Separatists. 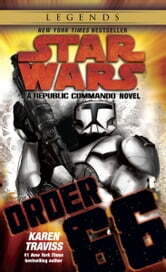 But no matter who wins, the stakes are highest for elite Special Ops clones like the Republic Commandos in Omega and Delta squads–and the notorious renegade Advance Recon Commando troopers known as Null ARCs. With Republic forces stretched to the max and casualties mounting, the last thing these beleaguered warriors need to hear is that Chancellor Palpatine is keeping vast armies of secret clone troops in reserve. Sergeant Skirata, a mentor to the clone commandos, has no intention of standing idly by while Palpatine sends them into battle like lambs to the slaughter. Skirata begins to plan the clones’ escape from the GAR, but his heroic effort will be in vain unless he can reverse the clones’ accelerated aging process. Caught in the treacherous dealings of their leaders, and locked in the battles of their lives, the disillusioned Null ARCs and Commandos nonetheless fight with everything they’ve got, determined to wrest victory from the Seps and save the galaxy. But even the deadliest weapons may not be powerful enough to defeat the realmenace. And nothing will stop the apocalyptic horror unleashed when Palpatine utters the chilling words The time has come. Execute Order 66. Translation: The Jedi have tried to stage a coup, and all must be shot on sight. With their faith in the Republic and their loyalty to their Jedi allies put to the ultimate test, how will the men of Omega and Delta squads react to the most infamous command in galactic history? 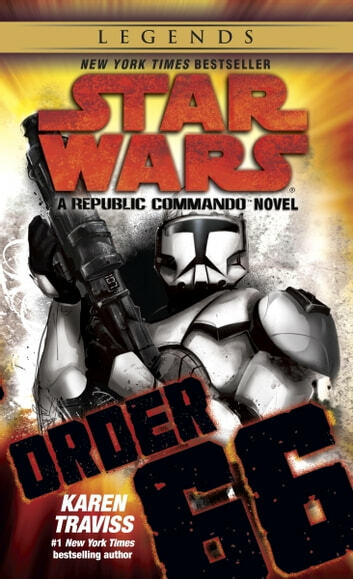 All the breathtaking action, suspense, and intrigue of Karen Traviss’s Republic Commando series comes alive in Star Wars: Order 66. One of my favorites. Like all of Karen Travis's Republic Commando novels, this one draws you in, forms an emotional bond and leaves you wanting more. It is a tragedy that the series was never finished.